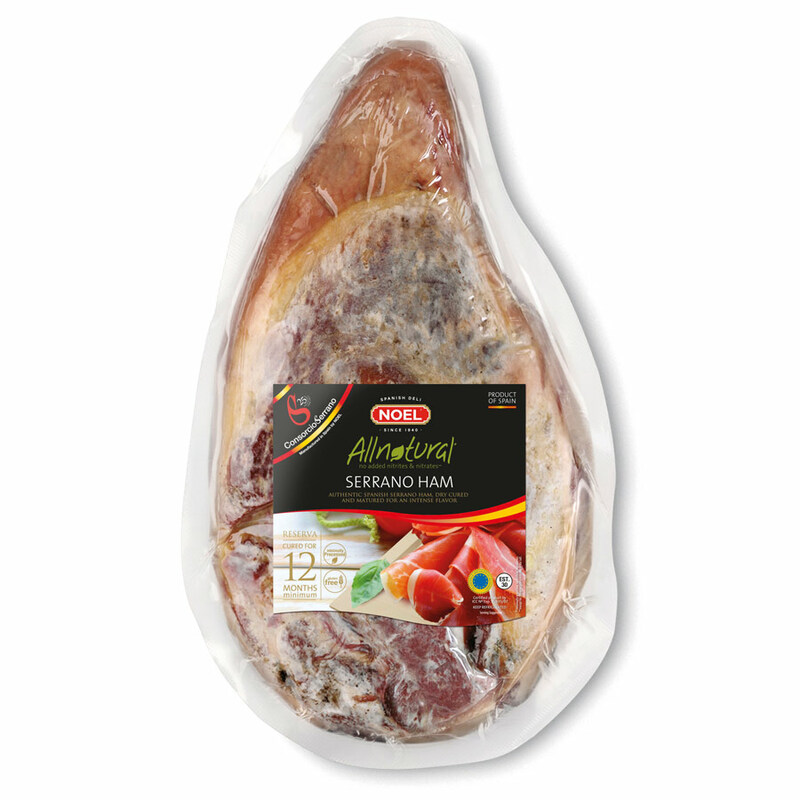 Traditionally, mountain ham is produced in mountainous environments where the air is pure, the humidity level is adequate and the winters are very cold. These are ideal conditions for good healing. The healing process has different phases: first, the hams are cleaned, stacked and salted. 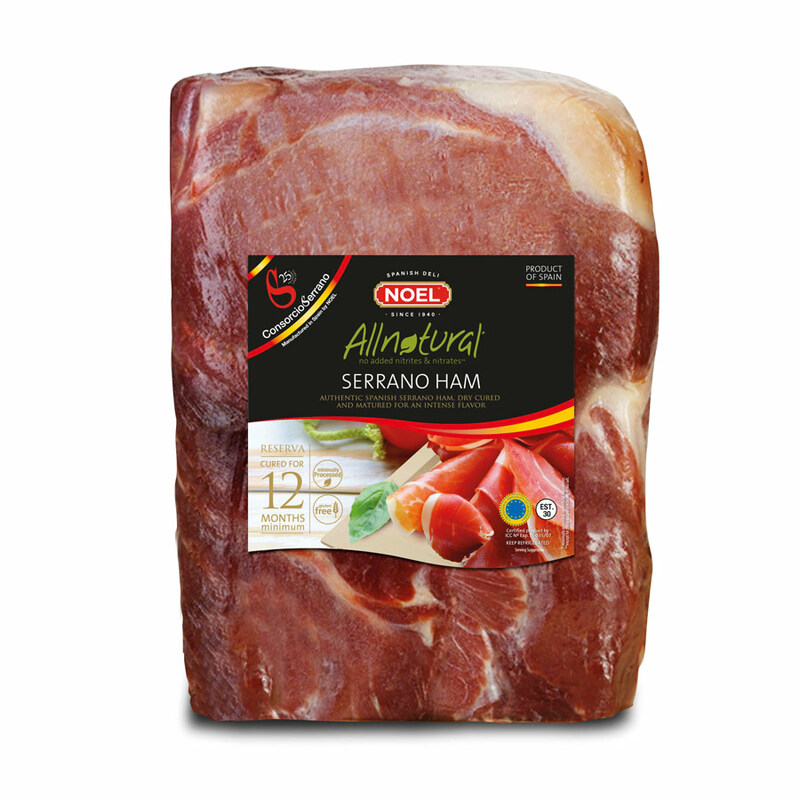 Salt prevents ham from losing moisture and also helps to preserve it. This phase lasts about two weeks. The salt is then washed and the hams are hung to begin the healing process. 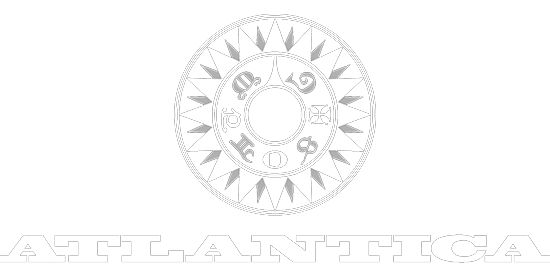 This phase lasts approximately 6 months. 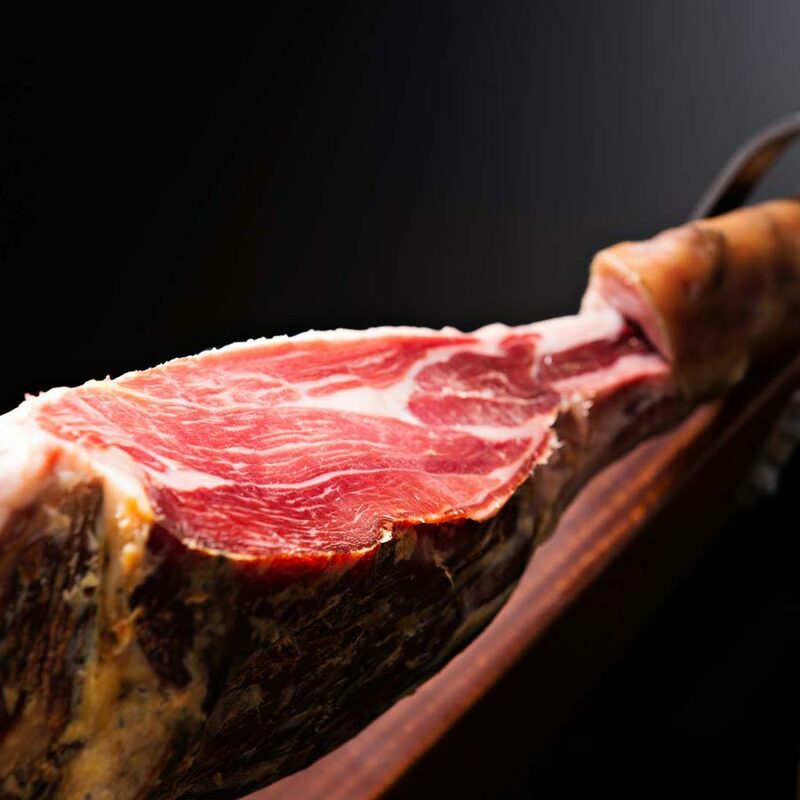 Drying in the air, which can last from 6 to 18 months depending on the climate, size and type of ham being cured, is what develops the flavor and aroma characteristic of mountain ham. Dryers are usually in mountainous places. 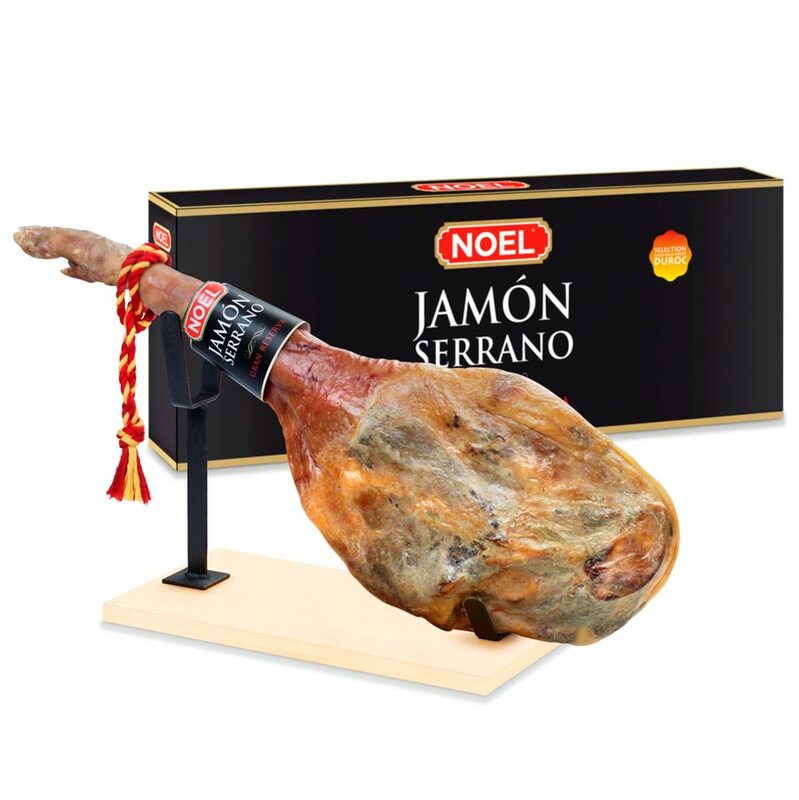 Hams of the finest quality come from pigs of the Iberian breed, characterized by their dark coat and black hoofs, thus giving rise to the familiar name “jamon pata negra”, or “black hoof ham”, by which they are also known. 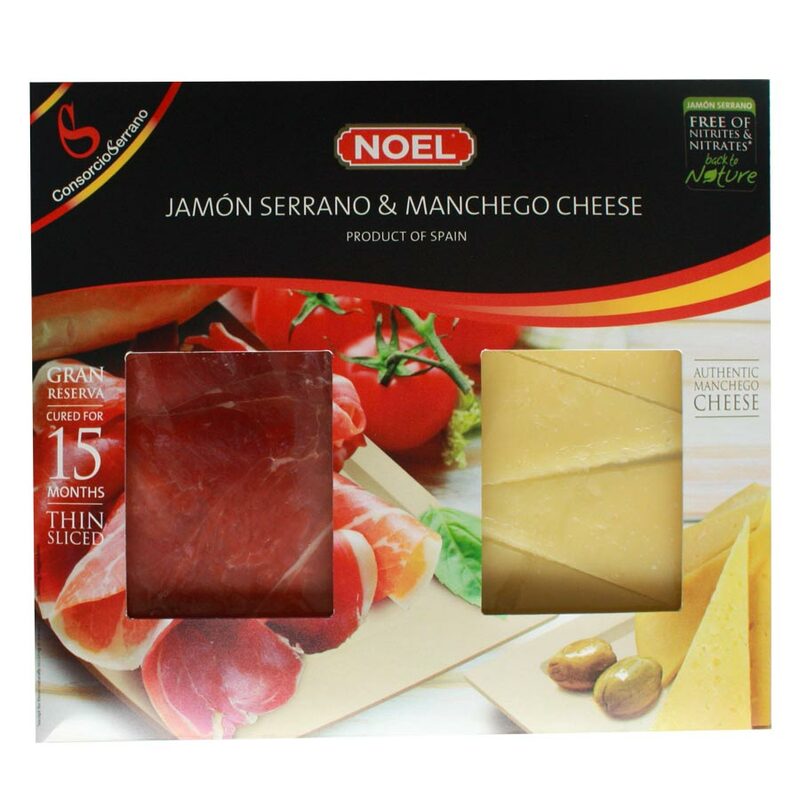 Totally new in the market, this packaging contains 80 g of DOP Manchego and 80 g of Serrano Ham. Perfect for tapas. Just open and serve! 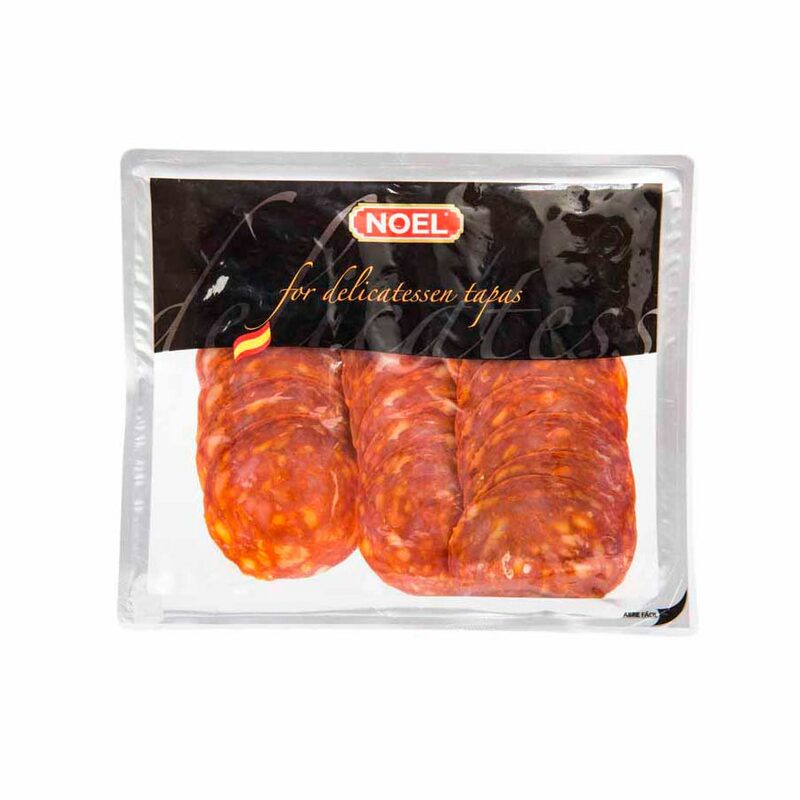 It is made from coarsely chopped fatty pork and usually seasoned with paprika.The mild Spanish paprika used is what gives this sausage its characteristic flavor. The paprika itself can be found as either picante (hot) or dulce (sweet). 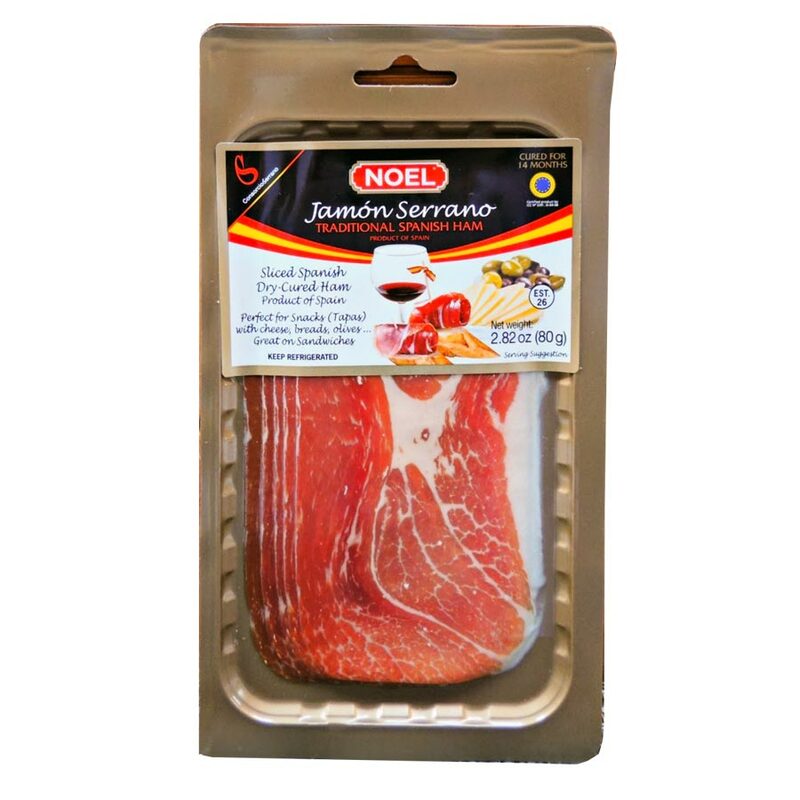 Some varieties are hung in cold dry places to cure as happens to jamon Serrano. 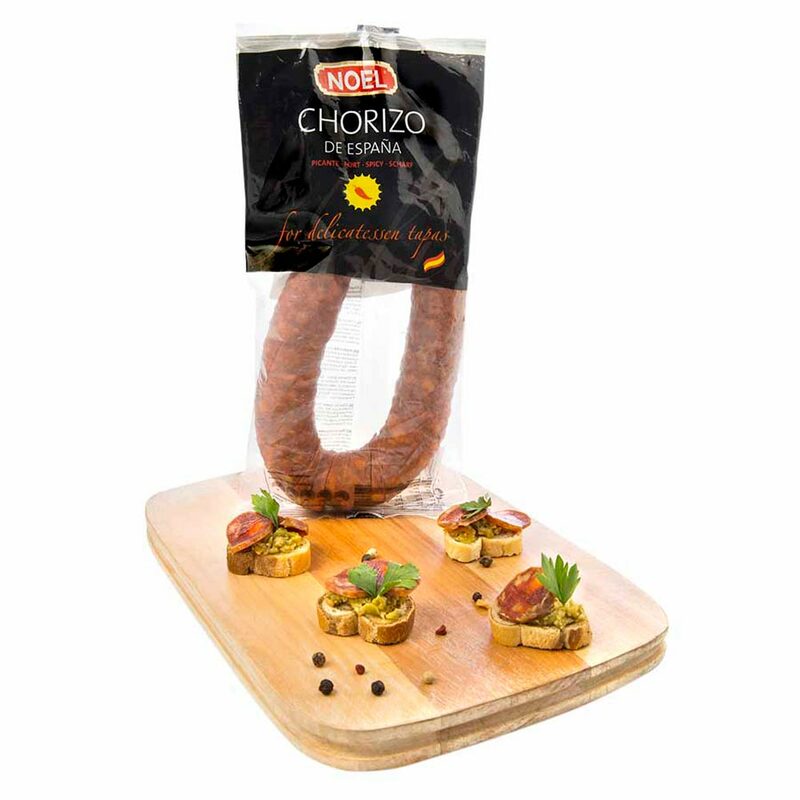 The growing popularity of tapas bars in foreign markets has made chorizo popular and is now an essential item at delicatessen counters in supermarkets as well as in restaurants of all kind.